The engine has been removed by the previous owner and will need a new/recon engine. The original sails are missing but a mainsail and headsail can be available. The cooker is not plumbed into a gas system. This boat is a project but a feasible one! The Van de Stadt Pioneer is from a well respected design and is a very capable Ocean goer. A previous owner has removed the engine so a new\recon engine will be a requirement. 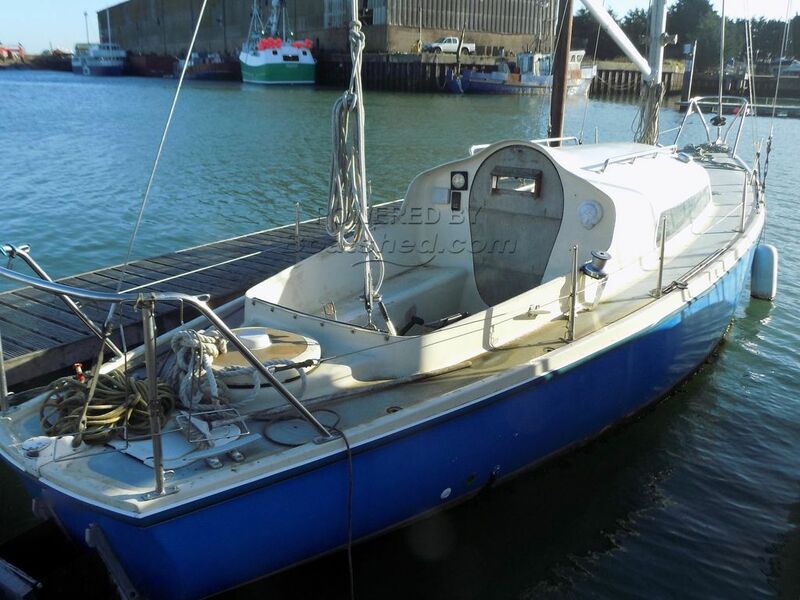 A chance to own a 30ft Van de Stadt sailing craft with a sound hull. This Pioneer 9 has been personally photographed and viewed by Geoff Jaquest of Boatshed Suffolk. Click here for contact details.